The animation (above) depicts ocean data that drifters transmit every five minutes as near-surface currents in the Gulf transport them from their initial deployment near the Deepwater Horizon site. 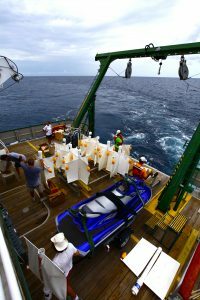 Customized drifters are mapping these currents, adding to our understanding of the role of oceanic flows in spreading and dispersing pollutants and materials on the surface of the ocean. 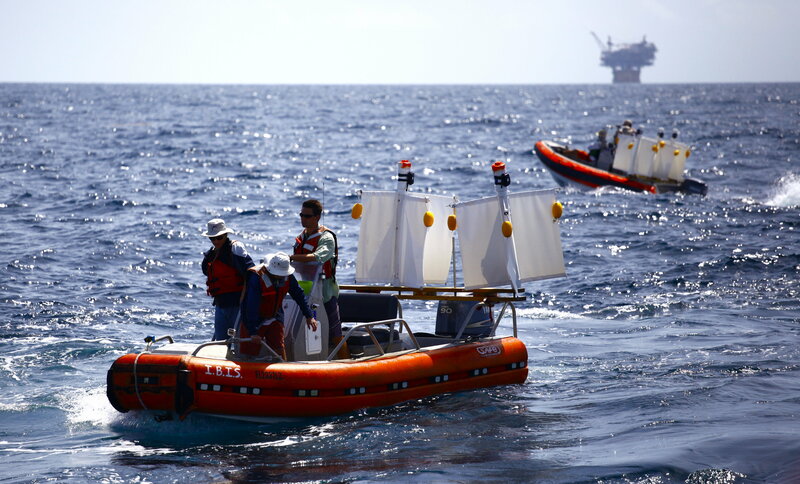 This experiment, an observation of upper-ocean transport processes, is a critical step in improving predictions about and response to oil spills. 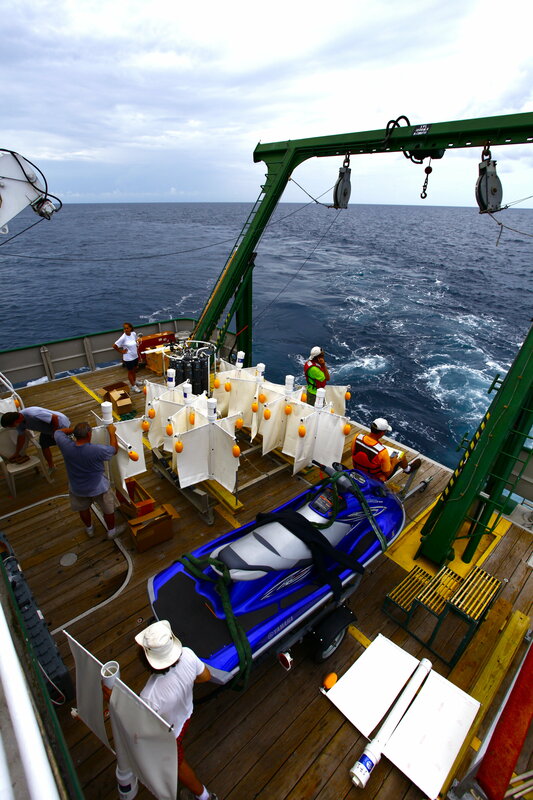 In July 2012, researchers with the CARTHE project (Consortium for Advanced Research on Transport of Hydrocarbon in the Environment) released over 300 drifters and initiated the largest upper-ocean dispersion experiment of its kind, the Grand Lagrangian Deployment (GLAD). While the deployment phase is over, the drifters are expected to continue sending data for another four to five weeks. Four types of drifters are shown in this animation: air-deployed U.S. Coast Guard (USCG) drifters that helped determine optimal release locations; NOAA’s Surface Velocity Program (SVP) drifters that measure currents in the upper fifteen meters of the ocean; SPOT drifters that use a Globalstar GPS device and measure currents in the upper meter of the ocean; and experimental, low-cost drifters (named FLAT because they are less than 0.1 meter thick). The FLAT drifters are being tested as potential next-generation drifters since they are significantly cheaper and smaller than the SPOT drifters and can be developed to be biodegradable and solar/wind rechargeable. This science has applications broader than just oil spill response, including harmful algal bloom response and use in search and rescue (SAR) operations. The USCG has been given access to CARTHE data for use in their SAR work. Read more about this ground breaking experiment: CARTHE at-Sea story on GoMRI Website and GLAD Project on CARTHE Website.